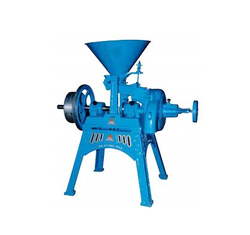 Prominent & Leading Exporter from Coimbatore, we offer flour mill plate machine. Leveraging on the vast experience of this domain, we are engaged in offering Flour Mill Plate. While manufacturing these Sievers, our professionals make sure that these products comply with the established norms of the industry. Also, these heaters are supervised at the production stages, so as to maintain higher quality standards and removes defects, if any. Looking for Flour Kneading Machine ?